Speak to any Leeds United fan during 2012 about the best prospects in the academy and almost everyone would have said Chris Dawson was the one they were most excited about. Still just a teenager, 17-year-old Dawson was receiving promising reviews from everyone around the u-21 setup. This even prompted Neil Warnock, Whites boss at the time, to hand the teenager his first ever professional contract as Dawson put pen to paper on a three-year deal that would see him stay with Leeds until 2016. On the 13th of April 2013, the diminutive midfielder was given his first ever run out in a Leeds shirt, when United hosted Derby County at Elland Road. At just 18-years-old, Dawson lasted 57 minutes before Warnock hooked him off in what would be his last game as Leeds United manager. Shoulder surgery would rule Dawson out of the 2013/2014 season at Leeds but David Hockaday’s shock appointment as Leeds boss promised a new beginning for the midfielder, who Hockaday described as being “lost in the system” but not before vowing to make him a star again. Sadly for Dawson, the craziest era of Leeds United’s history was about to begin. After just 6 games and 70 days in charge, Hockaday was fired by Leeds’ enigmatic owner Massimo Cellino. Another four managers would come and go over the next two years as Dawson’s time at Leeds drew to an end, having played just four games and 93 minutes for the West Yorkshire giants before being released. Next up for Dawson was Rotherham United as he signed an 18-month deal in January 2016 but it would be a fruitless spell at the New York Stadium with Dawson loaned out before ever making an appearance. This is where it begins to get quite peculiar as Dawson made his way to Norway to link up with Viking Stavanger, where he would make nine appearances before returning to Rotherham, where he was duly released, again. 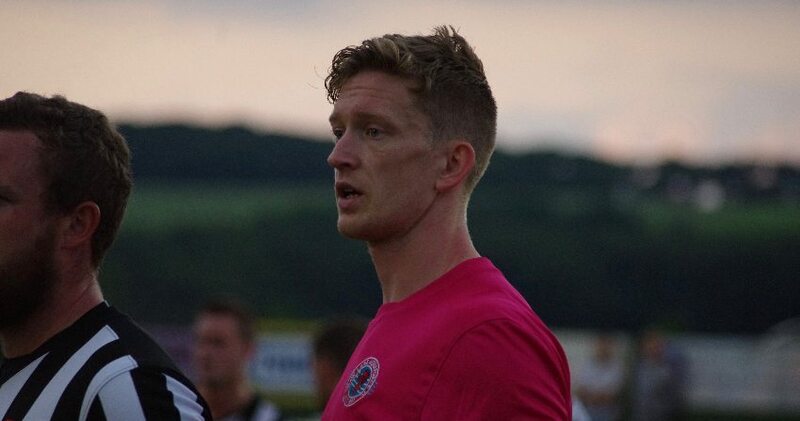 An anterior cruciate ligament injury would see Dawson on the sidelines for a while before joining up with Scarborough Athletic for the second half of the 2017/2018 campaign. It wasn’t to be for Dawson on the North Yorkshire coast and, instead, he would move to Bradford Park Avenue in July 2018. Still only 23, this would have been a tough pill for Dawson to swallow after once playing for Leeds United but it represented a good chance to start again at an established club in non-league football. That theory has begun to fall apart a bit after Bradford Park Avenue loaned him out to Grantham Town in February 2019 for a month. It’s hard to ignore the trend here, and the way Dawson’s career has gone leaves the burning question, where has it all gone wrong? This was a player who was being spoken about in the same breath as James Milner. While Dawson has struggled, Milner is playing an influential role in Liverpool’s title challenge. Despite being top of the league, the pros at betconnect, a social betting platform, suggest the Reds don’t have the character to get over the line, predicting Manchester City to pull clear in the final weeks of the campaign in their Premier League betting tips; however, it certainly cannot be disputed that Liverpool have had an outstanding season, with Milner definitely contributing to this. Known as Mr. Reliable and a consummate professional, a quick look at his stats make for phenomenal reading. In Milner’s case, he has gone onto win 510 Premier League caps, scoring 52 goals and assisting 82, which has resulted in him winning two Premier League trophies. The above stats are by no means meant to be an unfair comparison, only one that illustrates the high hopes that everyone had for Dawson when he was starting his career at Leeds. Pinpointing one exact reason for Chris Dawson’s stalling career is hard and, maybe, sometimes, a player just can’t quite cut the mustard for whatever reason. It is worth noting though that the start of Dawson’s career was Leeds United’s most turbulent spell over their history. Whatever way you look at it, the 24-year-old couldn’t have benefited from that, and it wouldn’t be beyond the realms of possibility to suggest his progress as a professional footballer would have been stunted having to work with five managers in three years. Just as a certain manager would learn Dawson’s name, Cellino would send them on their way again. There is always time for that potential to be realized and, at such a young age still, it wouldn’t surprise anyone to see the attacking midfielder make his way up the leagues again. Everyone at Leeds United will be hoping he does, at the very least.